In continuing my quest for easy-to-make and cheap classroom materials, I turn to clothespins. Like popsicle / craft sticks, there are so many things you can do with them and teach with them. First, they come in multiple types that all have different uses. There are peg clothespins that are the old fashioned ones that don’t have a spring. 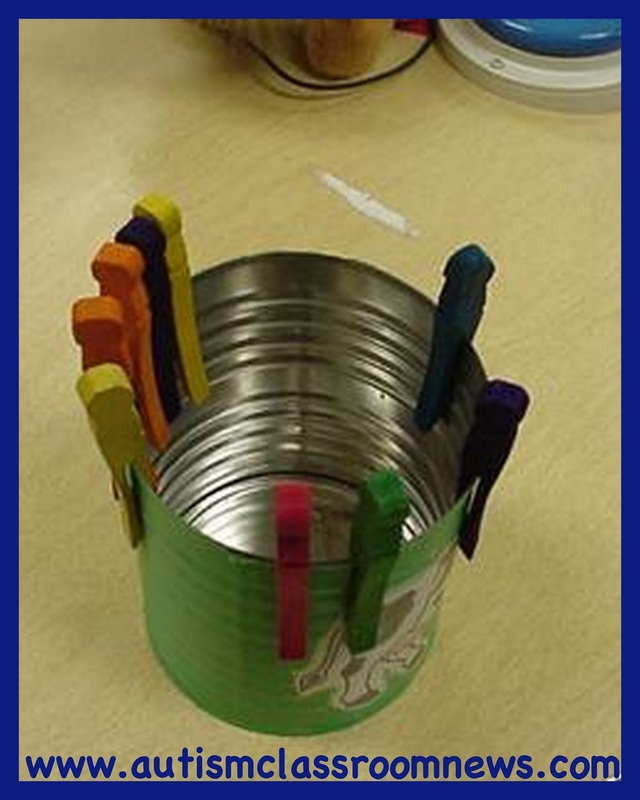 They are great for students who have difficulty with motor strength and can’t squeeze the regular clothespin. I use them for simple put-in tasks like the one on the coffee can below where the students put the clothespins in the coffee can as the task. 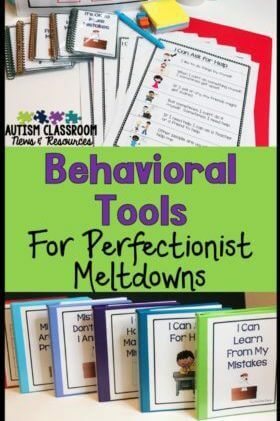 If you have students who have very few or no independent skills, this is a great task to start with. You can do it with the peg or the more typical clothespin. Wooden clothespins with springs are the more typical type of clothespins to use and they are great for writing on and having students use them to match sight words to pictures, like the one to the left. I think these pictures came from Linguisystems. 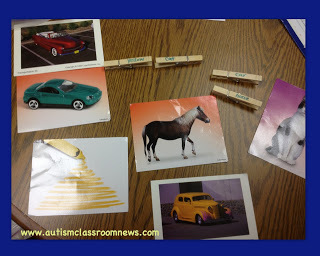 Each clothespin has a word on it and the students have to match the words to the picture. 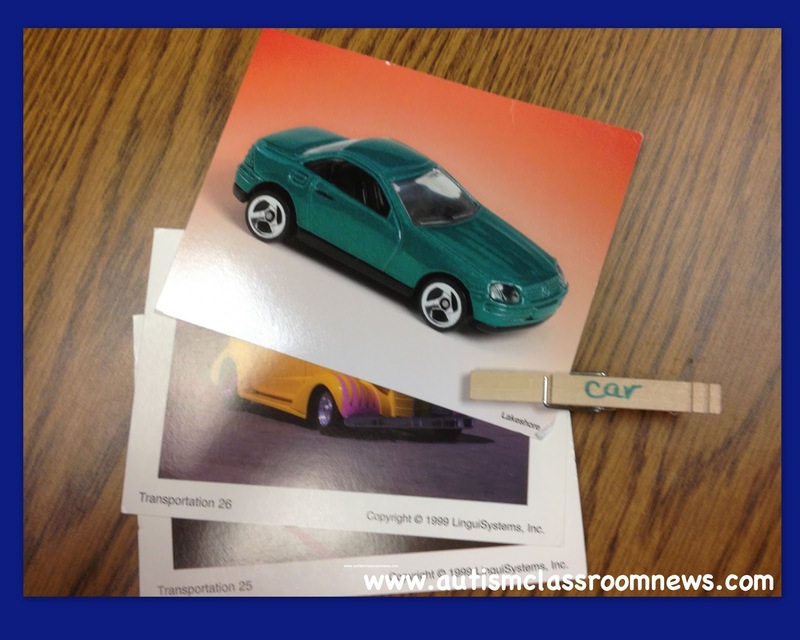 In the picture below, there are more than 1 card for each word, so they have to use the clothespins to find all the pictures that match the word and fasten them together. And finally there are new “modern” “clothespins” that are actually just clips. They are plastic and typically hold up better and are a little more expensive, but they are not as easy to write on. They also typically require more motor strength to open them. In the picture below the student uses them to match the letters of his name. 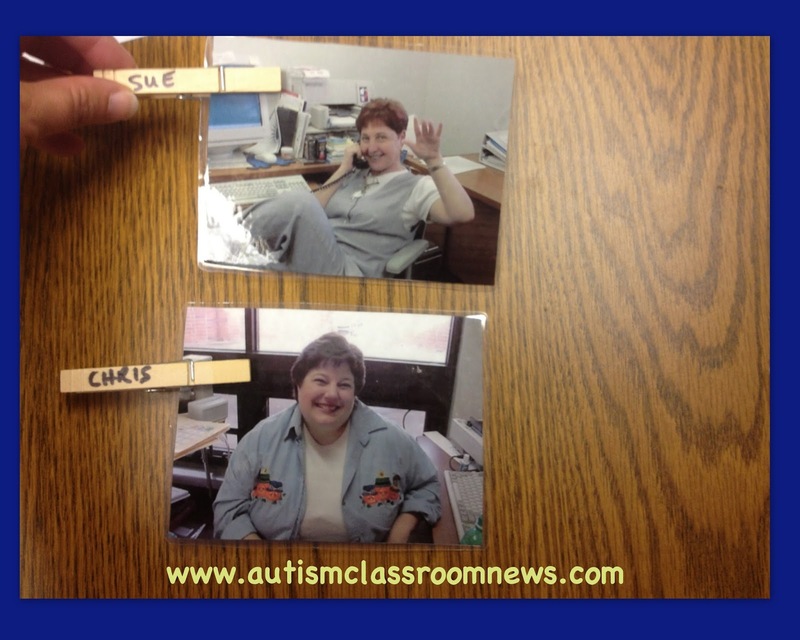 You can also use clothespins to have students respond to task cards or clothespins cards. 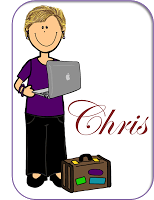 Below is a pin from Superteach’s Clothespin cards. 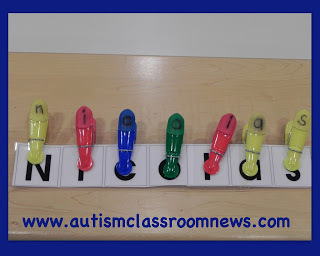 You can also use them to spell out other sight words like the pin below (click on the pin to follow through to the original source). 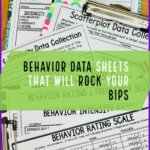 You can also use them for clip charts. I thought this one was particularly interesting (and not just because it combines popsicle sticks and clothespins) because it can be more private for the student. 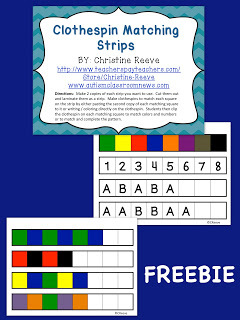 And finally you can use them for patterning skills like the freebie below. 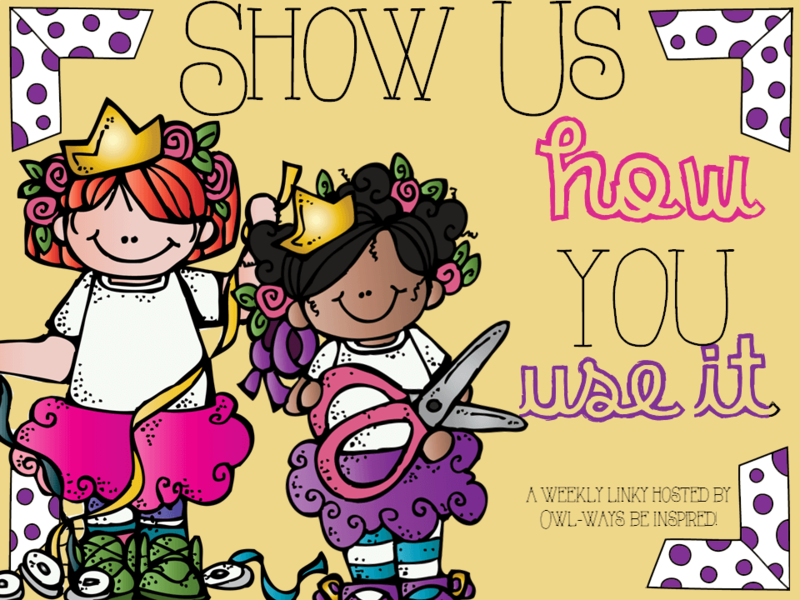 The directions for the freebie are on the title page, but essentially you can download, print and cut them and then make clothespins to match. 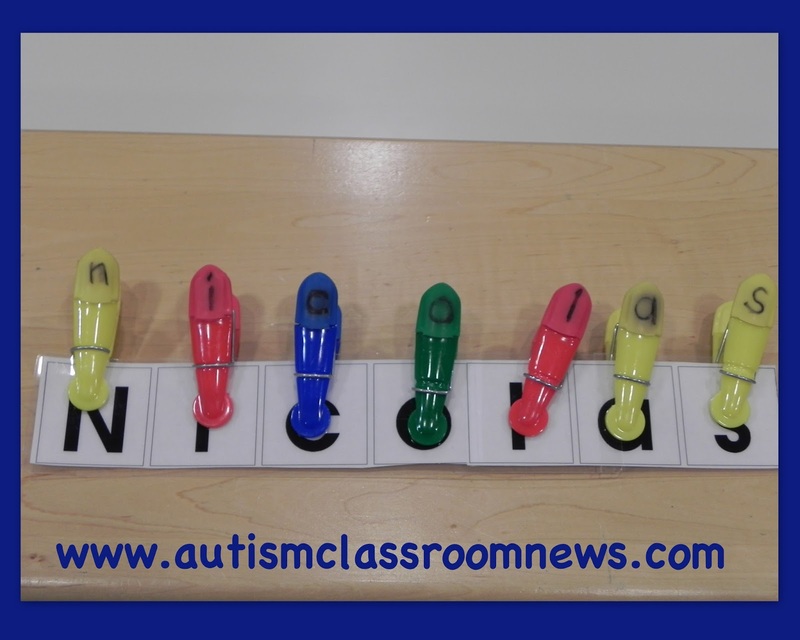 Then have students order / match numbers and create simple ABAB and ABCABC patterns. So download and enjoy! 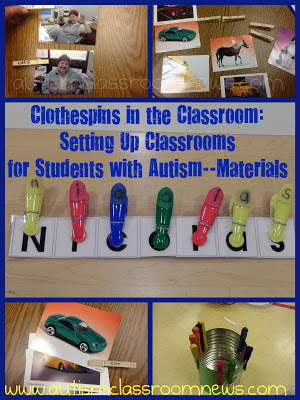 How do you use clothespins in the classroom? Please share ideas for others to try in the comments! great idea I have clothespins in a drawer now they will have a purpose! I bought what seems like thousands of clothespins at the dollar store and have created similar tasks that you have in your post, except for your last one. 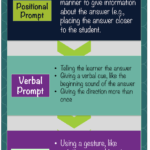 I love the patterns and have 2 students who would greatly benefit from those tasks. I love clothespin tasks because they can serve a dual role of being both an educational and a fine motor component of a task. Awesome! That's why I love them too! Thank you for sharing all these wonderful ideas! Can you add additive patterns to your packet. I will have to consider that if I do something more with these. I really just was thinking they would be an example of what could be done. Thanks for the suggestion. So many great ideas. 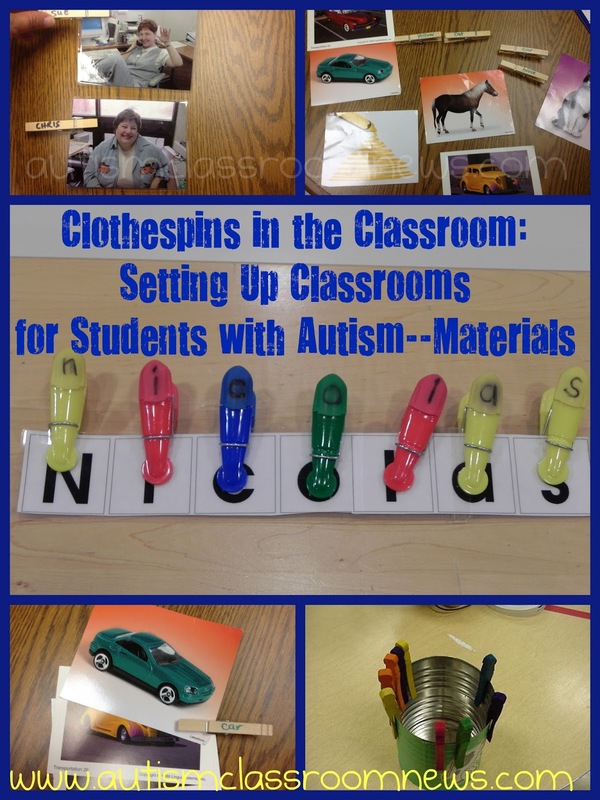 I have been using clothespins in my class as well. In a class where %100 of my students receive OT services, I am always looking ways to sneak in OT skills anywhere I can. 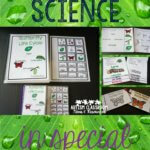 I am even working on a couple TPT products that use clothespins right now. Thanks for all the great ideas! I will be adding a few of these to my centers next year. I especially love the categorizing idea. Thanks again!